The American religious landscape has undergone substantial changes in recent years. 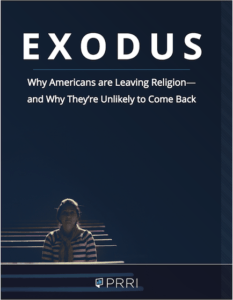 However, one of the most consequential shifts in American religion has been the rise of religiously unaffiliated Americans. This trend emerged in the early 1990s. In 1991, only six percent of Americans identified their religious affiliation as “none,” and that number had not moved much since the early 1970s. By the end of the 1990s, 14% of the public claimed no religious affiliation. The rate of religious change accelerated further during the late 2000s and early 2010s, reaching 20% by 2012. Today, one-quarter (25%) of Americans claim no formal religious identity, making this group the single largest “religious group” in the U.S.
Frowned upon even by hardline Muslims, and banned in Pakistan, Bangladesh and across the Islamic world, the practice of talaq-ul-bidat – or “triple talaq” – persists in India, home to the world’s third-largest Muslim population. It grants men the power to dissolve a marriage with a single word, “talaq”, said three times. Increasingly, the word is emailed or texted. The Church of England is considering scrapping a law that requires churches to hold services on Sunday, after a big drop in the number of people going to church. A paper posted on the organisation’s website reveals leaders are discussing plans to relax the centuries-old law that states services must take place every Sunday. A2 Beliefs: Further signs of secularisation?